The average college debt is roughly $37,200. ​43.3 Milions people carry a debt that has been estimated to be $1.2 Billion dollars in 2016. ​ ​The Consumer Financial Protection Bureau published an estimate that 1 of 4 students who took a loans are either in delinquency or in default on their student loans. ​To qualify for any of the hardship programs, your gross annual income (the income that can be taxed) is compared to the Federal Poverty Line of the state where you reside to confirm that you’re in a hardship situation. In most cases, as long as your income is no more than 150 percent of the FPL where you live, then you can use these programs.For all programs, the term – i.e. the length of the loan – is extended from 10 years to 25 years. In the case of hardship programs – particularly with Pay as You Earn – you may not eliminate your debt in-full by the end of the term. In that case, the remaining balances are forgiven without penalty after 25 years of payments made on time. In some cases, if you work in public service and consolidate using one of the programs outlined above, you can have your balances forgiven sooner. Most federal student loans – whether they are subsidized or unsubsidized – can be consolidated using one of five federally available programs. These programs are designed to roll all of your federal student loan debt into one monthly payment. It simplifies your payment schedule so it’s easier to pay back what you owe. In many cases, it also makes it easier to pay your loans back. Every student situation is different therefore we tailor your solution to your situation. We carefully evaluate your situation and study it before we push you to take any actions. This program is the most straightforward. Your loans are consolidated into one payment that’s based on how much you owe, in total. The term of your loans is extended from the standard 10-year term to 25 years. This usually reduces the monthly payment amount so the debt is more manageable on a limited budget. This program pays off your loans on an accelerated schedule. Your loans are rolled into one payment that starts small then increases gradually over time. The idea is that you pay more as you advance up in your career so you can eliminate the debt faster. The term is still extended to 25 years. This is the first of the three hardship programs. If you can’t make your payments because they are too high, this rolls all of your federal student loan debt into one payment that’s based on your annual taxable income. The payments are set at 15 percent of your gross income. This is similar to an IBR but the payments are set at a slightly higher percentage of your taxable income. Instead of 15 percent of your gross income, payments are broken up at 20 percent of your gross income. The term is still 25 years, as it is with all consolidation programs. Pay as you earn plan. This is the plan for borrowers who are really struggling. Payments are set at 10 percent of your gross income, but your income level is compared regularly to the Federal Poverty Line (FPL) in your state. If you’re below a certain limit on the FPL scale, your payments may be reduced even more or reduced to zero in some cases until you’re making more money. Even while you’re not paying, you stay current on your loans. For this program, the loans must have been taken out after October 1, 2007 with at least one disbursement since October 1, 2011. Not all student loans go through the federal government. 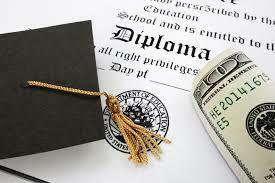 In some cases, you may have taken out private student loans from a financial institution. These would be loans you get from a company that required a credit check and went through a traditional lending process – instead of the loans you get through the FAFSA. For private student loans, the five programs and forgiveness path described above don’t apply. In other words, you can’t consolidate your private loans on an IBR or Pay as You Earn plan. Instead you need to go back to the loan servicer – i.e. whoever loaned you the money – and work out a payment plan or settlement plan with that lender individually. There are also companies that can help consolidate private student loans similar to what you see with credit card debt. In some cases, they also offer consolidation of federal and private student loan debt together. Just be careful. Once you consolidate in this way, your federal student loan debt becomes private student loan debt. In other words, you can’t use this option then decide to use a federal consolidation program later in order to qualify for forgiveness.